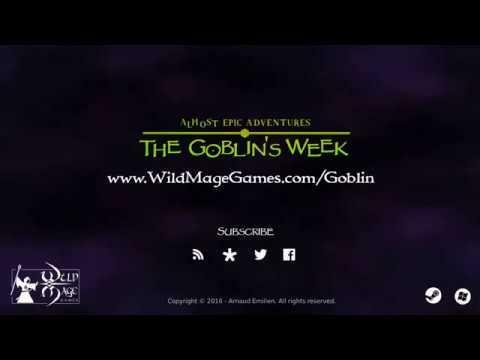 The developer of Almost Epic Adventures : The Goblin's Week [Official Site] emailed in to let us know about their game and it has a rather unusual setting. - Play a Goblin working for an evil mage in an almost epic adventure like you never lived before, and discover the joys of dungeon maintenance. - Discover an original satirical dark fantasy world filled with funny dialogues, characters, and objects. - Explore a dangerous dungeon full of hidden paths, secret rooms, and mysteries. - Investigate what is happening in the dungeon. Sneak in forbidden places, avoid deadly traps, read confidential journals, and discover terrible secrets. - The simulation-based mechanics and the complex and open level design offer multiple paths and solutions. - The game mechanics are inspired from Amnesia - The Dark Descent (for the exploration gameplay), Thief (for the stealth gameplay) and Deus Ex (for the systemic gameplay). The developer told me it will be on Linux and the Greenlight page also lists Linux as a platform. If you like the look of it, feel free to give it a vote to help it get onto Steam. The developer said it's the first game, so it's quite impressive. It not only looks interesting, but the setting is pretty unique too. Nice list of features, it just misses "story and dialog written by Rhianna Pratchett of Overlord fame"
Looks cool, I’ll most likely buy it if it’s released DRM-free!